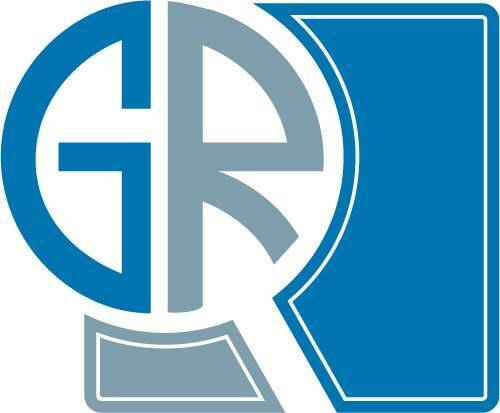 According to the Graphical Research new growth forecast report titled “Europe Molecular Diagnostics Market Size By Technology (PCR, In Situ Hybridization, Chips And Microarrays, Mass Spectrometry, Sequencing, Isothermal Amplification), By Application (Infectious Disease, Blood Screening, Genetic Testing, Oncology Testing), Industry Report, Growth Analysis & Forecast, 2018 – 2024”, estimated to exceed USD 3.3 Billion By 2024. Rising demand for point of care diagnostics coupled with favorable R&D initiatives will drive Europe molecular diagnostics market growth. According to Future Medicine journal, till now around USD 3.6 billion has been capitalized in personalized medicine research across the medical innovation cycle. Moreover, rising demand for personalized medicines in Europe should boost business growth over the coming years. Technological advancements in PCR and DNA sequencing methods will foster Europe molecular diagnostics industry growth over the forecast timeframe. Government initiatives to support development of molecular diagnostics platform will positively impact business growth. For instance, the European Alliance for Personalized Medicine (EAPM) held conference on November 2017, that focused on opportunities aimed at health services and therapies for patients. Additionally, the European Personalized Medicine Association is scheduling to fund grants in tutoring and training of future healthcare experts with emphasis of using diagnostics and patient engagement positioned on personalized medicine. Blood screening segment will grow at 8.1% over the forecast timeframe due to growing incidence of blood cancers and essential blood cancer diagnosis should propel industry growth. As per CDC data in the U.S. nearly 47,135 individuals were diagnosed with leukemia in 2014 that comprised of around 19,646 women and 27,489 men. Isothermal amplification technology segment accounted for 16.9% revenue share in 2017, as a result of recent acknowledgement of proteins that has assisted novel in vitro isothermal DNA amplification techniques growth, that mimics in vivo mechanisms. Furthermore, isothermal amplification is widely used for analysis and detection of tiny amounts of nucleic acids thereby, should propel segmental growth over the forecast timeline. UK molecular diagnostics market was valued at USD 156.7 in 2017 due to increasing R&D coupled with presence of sophisticated healthcare infrastructure and higher disposable income. Moreover, growth in personalized therapy as well as diagnostics sector should result in opportunities for molecular diagnostics business growth over the coming years. Some of the prominent business competitors operating in the Europe molecular diagnostics market include Abbott Molecular, Agilent (Dako), Alere, Analytik Jena, Becton Dickinson, Biomerieux, BioRad Laboratories, Danaher, Johnson & Johnson, Roche Diagnostics and others. Major business players adopt strategies such as collaborations, novel product launch, mergers and acquisitions to sustain their position in the industry. For instance, in October 2017, Roche’s cobas Zika test used along with cobas 6800/8800 systems received U.S. FDA approval. The approval of cobas Zika test expands company’s product portfolio for screening blood-borne diseases.